The Shock Ultra achieves outstanding performance with the standard Rotax 912 ULS engine. Other engine options are available. 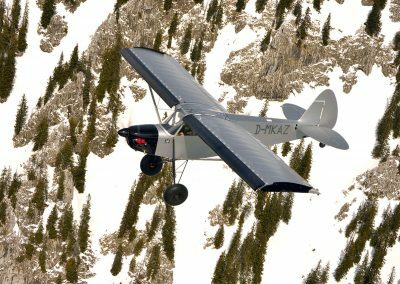 What Makes A Better Bush Plane? The list is long, of course, and tailored for specific uses. But some things are fundamental. Short takeoffs. There’s not much runway where we’re going. Quick climbout. To clear surrounding terrain. Short landings. The shorter the better. Tame landings. Good control with minimal touchdown rebound. Safe slow flight. Low stall speed, spin resistance. Easy to fly. Responsive controls & ergonomic design. Simple, strong construction, repairable in the field. 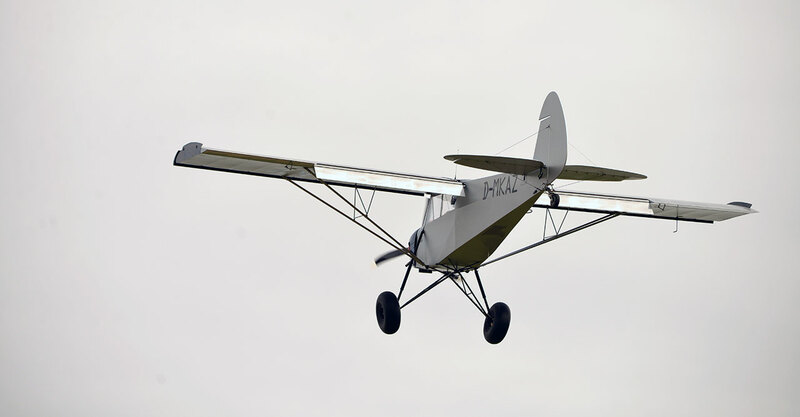 It has been several decades since Piper’s PA-18 SuperCub set the bar for bush flying. 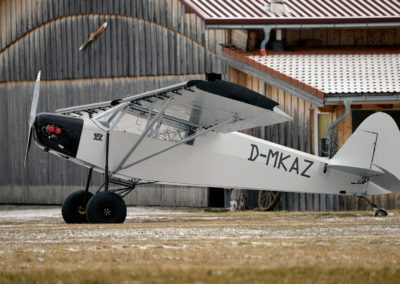 Since then a series of technological and design innovations have enhanced the off-runway performance of cub-like aircraft with more power, lower weight, added lift, better control and braking. But one vital component—suspension—is too often overlooked. 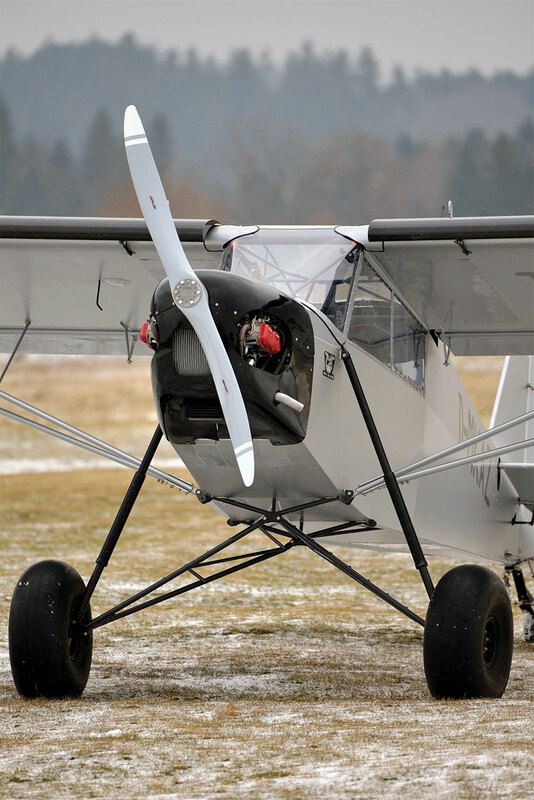 The Shock Ultra gets it right with custom hydraulic, outboard shock absorbers and suspension geometry integrated into main and tail landing gear, virtually eliminating the problems of touchdown rebound and ground hop that are all too common with traditionally sprung cabane landing gear. The gear position is also moved forward to enhance braking capacity with less risk of overturning. As a result, the Shock Ultra lands and taxis with remarkable control and stopping power. Command of a vehicle on the ground depends upon constant contact between the tires and the surface. Race cars and off-road competitors go to elaborate lengths to balance weight, spring rate and shock damping in order to keep the tires on the ground no matter how rough the surface, or how strong the offsetting forces. Springs, bungee cords or polymer buffers alone will not do this. 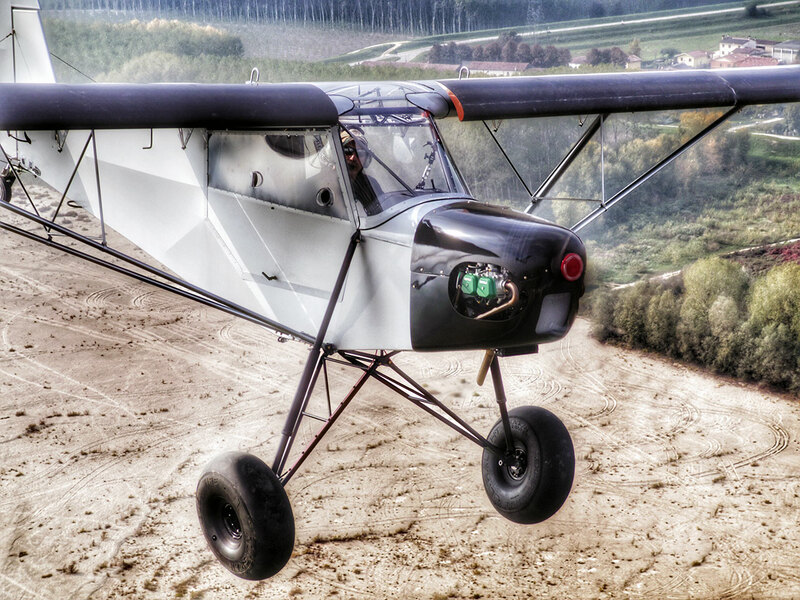 They may be adequate for light GA airplanes operated on maintained runways, but landing on river banks, mountain slopes and ultra-short fields demands more, and the Shock Ultra delivers. Outboard shocks tame the landing rebound. Your first landing in a Shock Ultra will be unforgettable. The energy absorbing capacity of outboard shocks and fat bush tires just has to be experienced. Tested to more than 1,600 pounds @ 6g for over 2 minutes without deformation. 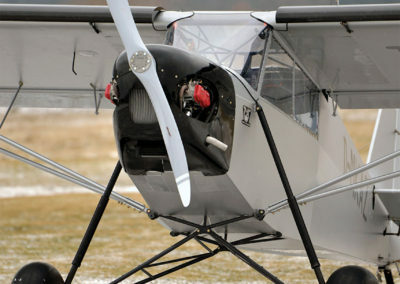 Square wing tips and wing tip fences to control tip vortex and reduce drag. 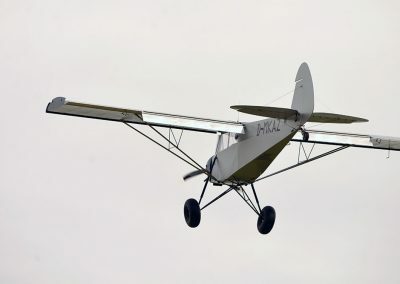 A 40% increase in aileron surface, together with refined airflow design, allow the pilot to keep full control authority at extremely low speed on approach. Double slotted fowler style flaps with extended surface area 70% larger than the baseline. These can be equipped with mini vortex generators installed inside the vane. 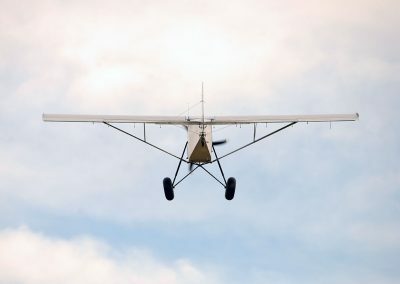 The pitching moment generated by the flaps results in a lower nose attitude on approach, allowing the pilot to see the landing area. 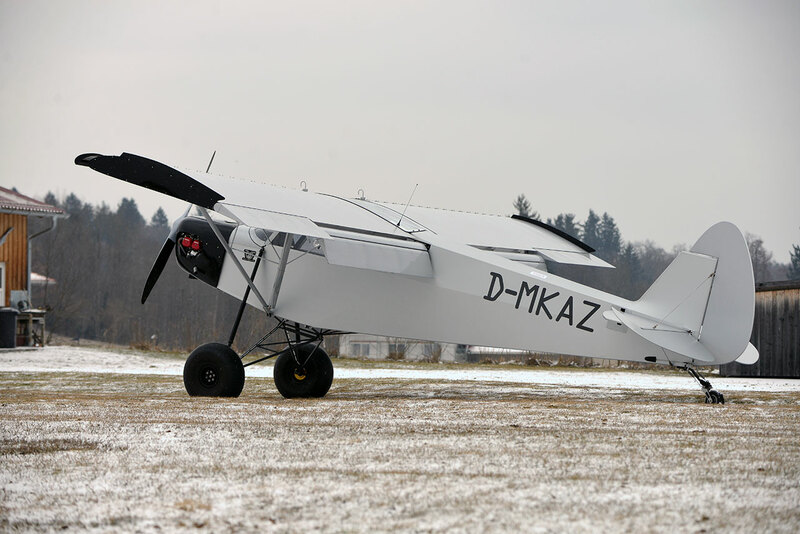 Significantly increased lift coefficient provides noteworthy performance in landing and takeoff. 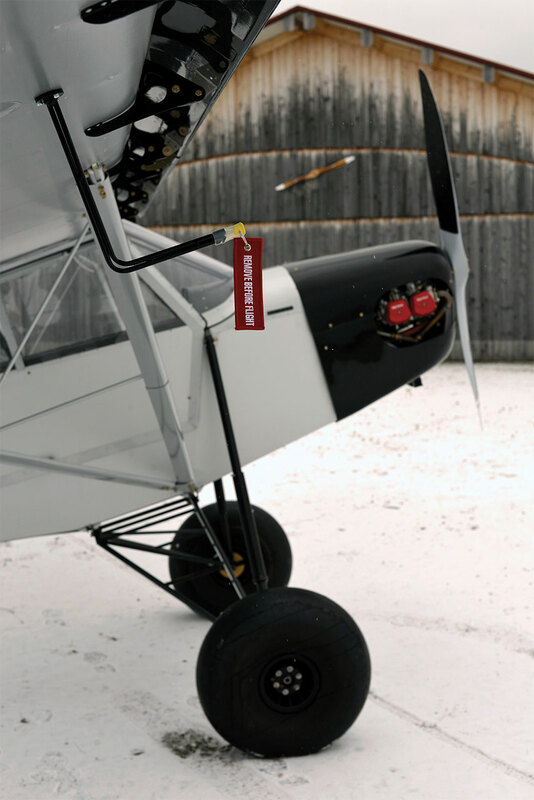 Vortex generators available for the wings, rudder, flaps and horizontal tail. Optional extra-light wing slats pivot in response to airflow, slowing the airplane to very low speed. 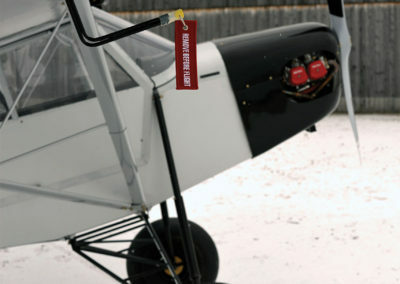 This simple slat device was developed and extensively tested in Alaska to minimize cruise speed reduction. 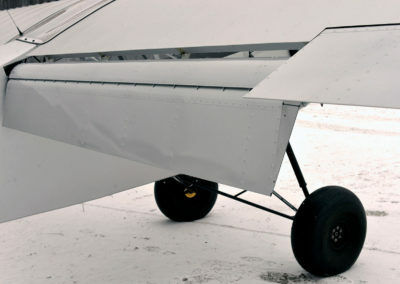 Over 3” additional aft extension of the rudder and elevator surface area to balance the moment from the new wing design. Actually you don’t have to imagine! In the Shock Ultra you’ll fly into (and out of!) remote situations that were otherwise inaccessible. 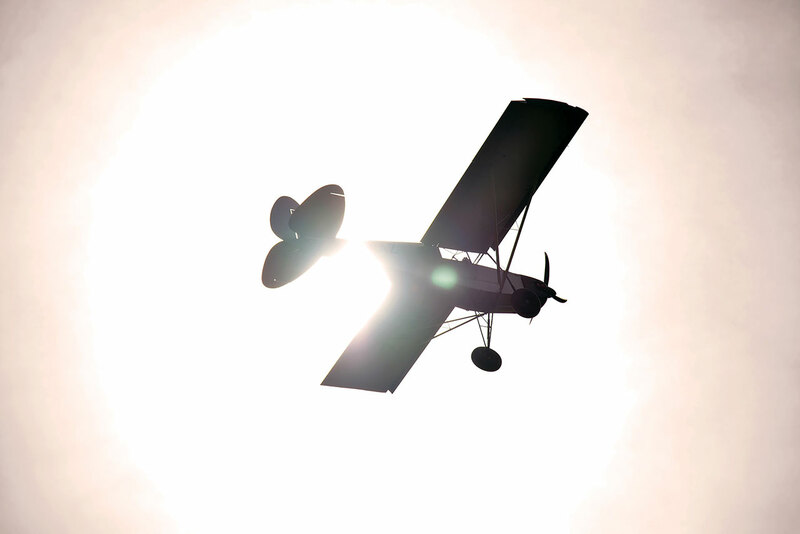 Take it, fly it, go where you want to go. 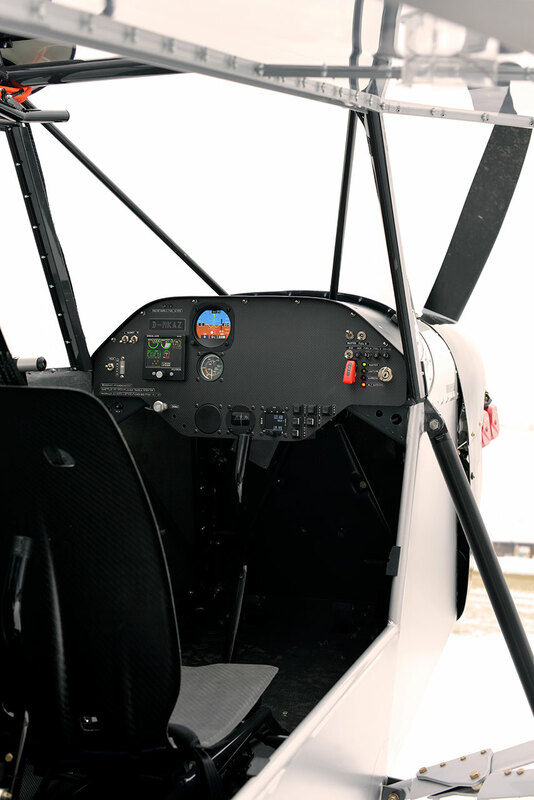 The airframe is reinforced and refined, with more headspace and elbow room, easier ingress and ergonomic design. 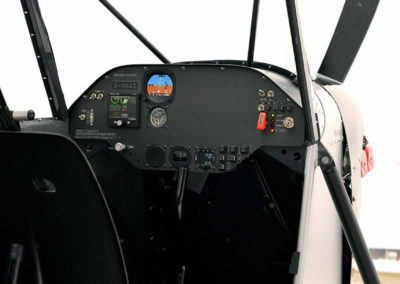 The forward airframe is engineered to handle up to 141hp and outboard shock mounts. Zlin super-sized the elevator and rudder, fundamental elements in ultra-slow flight. 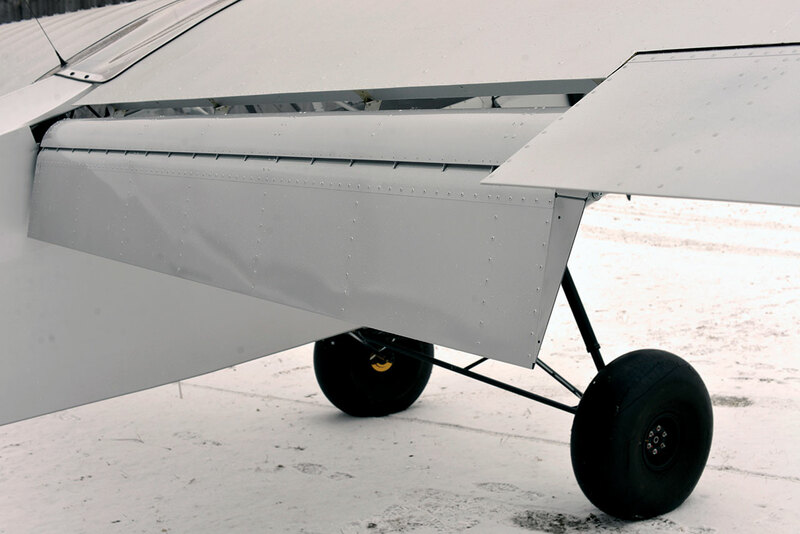 The stabilizer’s vertical travel, with its new jack screw trim system, is increased to balance the angle of incidence of the hyper-STOL wing. Thin composite seats are tough and comfortable. 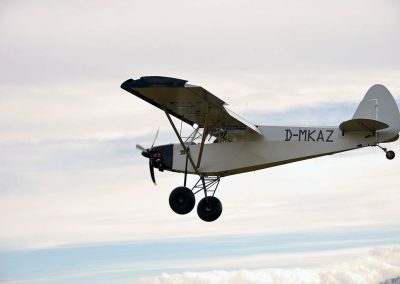 There is a reason why more than 90% of the two-seater aircraft in Alaska are tube and fabric taildraggers with tandem seats, the traditional decades-old construction. 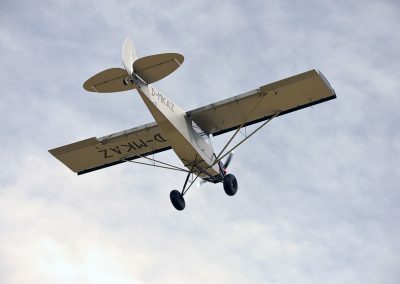 Bush flying is not about getting there fast, it is about getting in and out of places where fast planes dare not go. 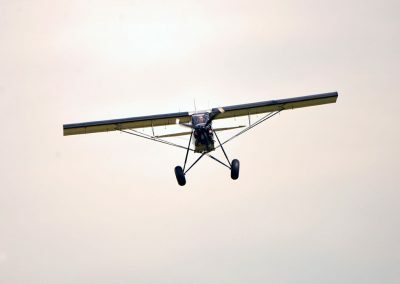 Imagine having to land in extreme circumstances in an airplane designed for well-kept runways, and constructed of materials that are difficult to repair in the field. In the bush, simplicity is a virtue. The Shock Ultra preserves this winning tradition of bush plane design while pushing the boundaries of technology to improve performance where it counts. 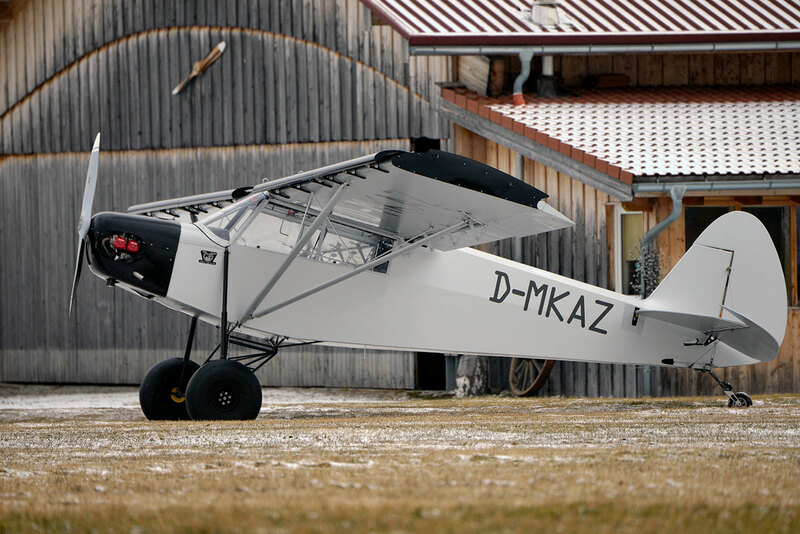 How does a fabric and tube taildragger presume to set speed records? 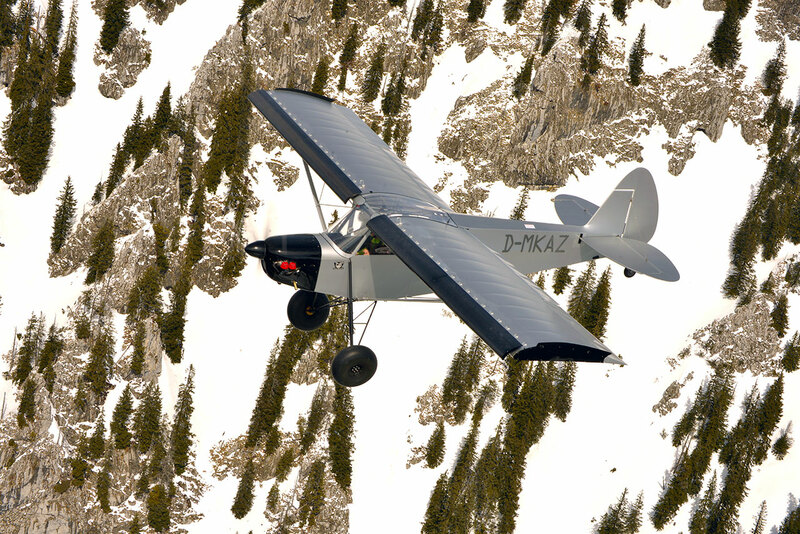 By flying slow, so slow that a descent in a headwind can appear to be almost vertical. 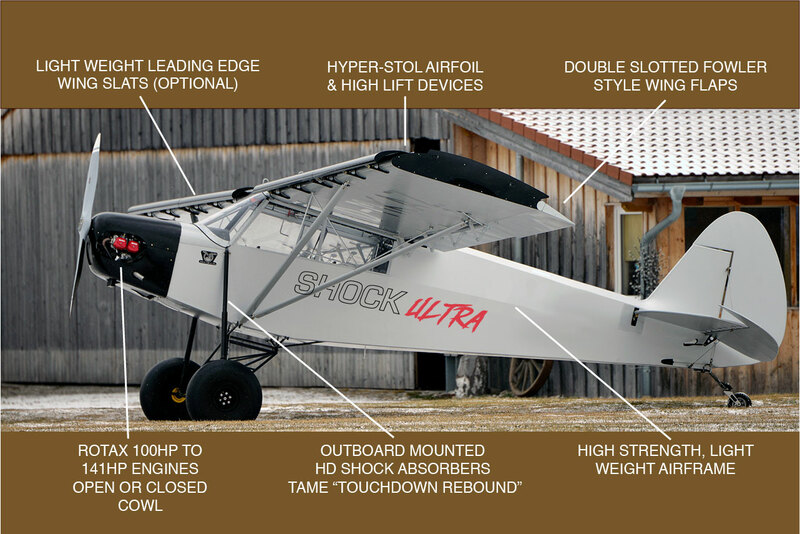 With its low stall speed the slat-winged Shock Ultra is a whole new experience in low/slow flight. 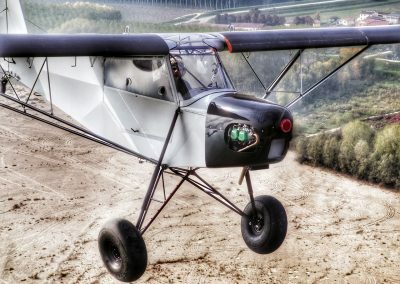 It’s so much more fun to fly slow! Safety First—The slat-winged Shock Ultra is spin-resistant, easy to control and less dangerous in a stall. 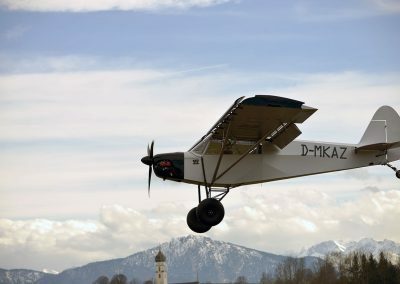 Its stall angle of attack is so high that the chance of an inadvertent stall on takeoff or approach is greatly reduced. 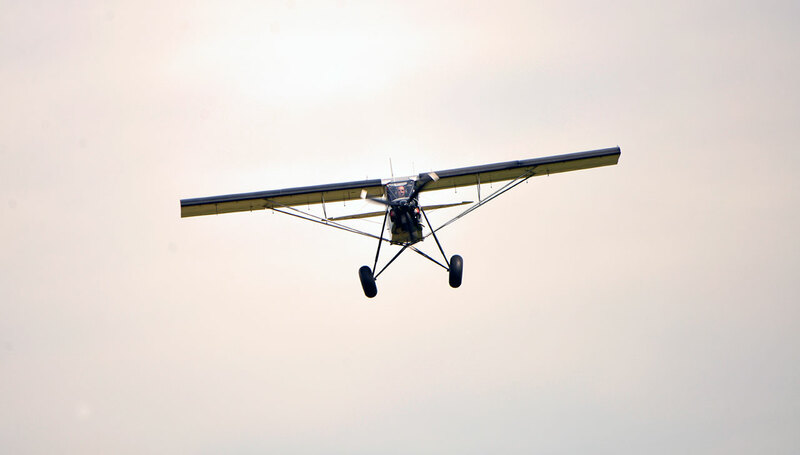 Remote Access, dependable low-speed control, a hyper-STOL wing, a robust airframe, a dynamic energy absorbing landing gear and bush wheels benefit the pilot in the most critical phases of flight—approach, landing, takeoff and climb. 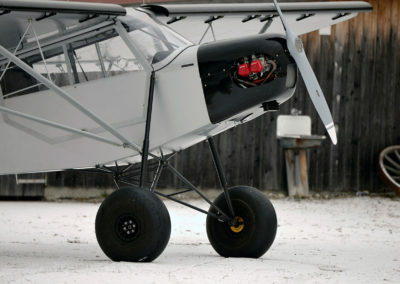 100hp Rotax 912 ULS engine with water-cooled heads. Other Rotax engines available up to 141hp. Performance of the Shock Ultra equipped with the Rotax 912 ULS (100hp). 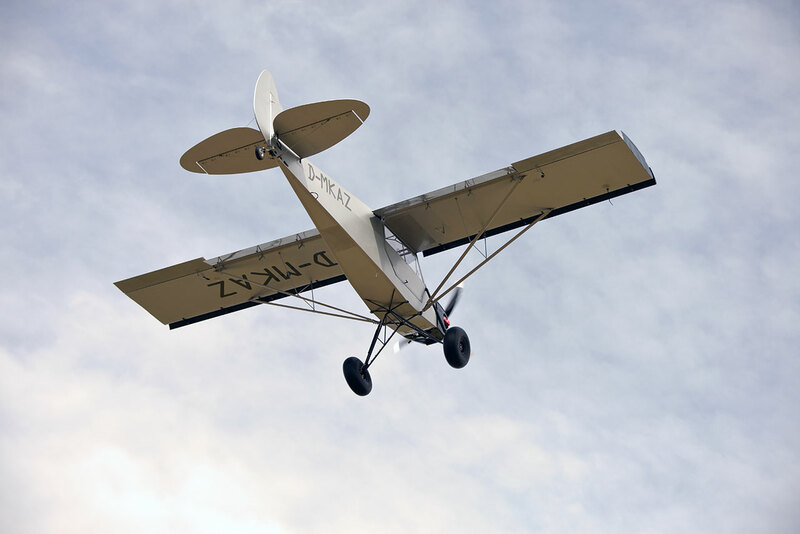 Savage aircraft are distributed in the USA by SportairUSA, LC, a pioneer in the light sport flying movement. 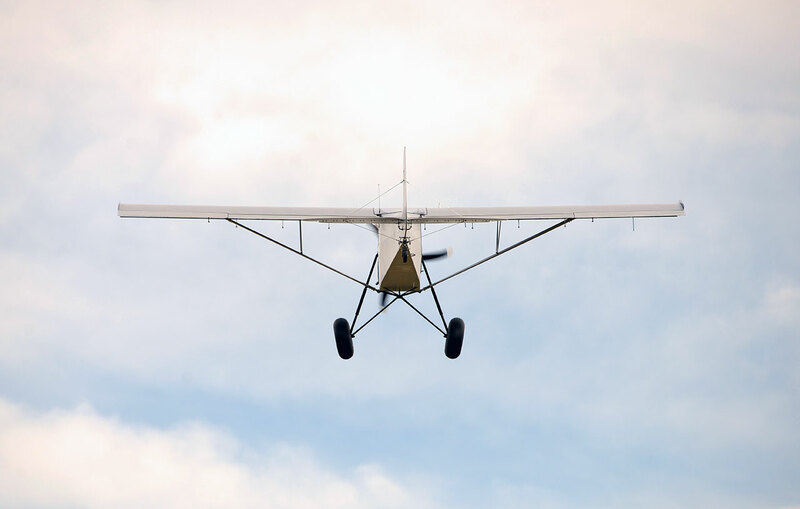 We maintain an assembly and maintenance center at KORK North Litte Rock Municipal Airport in Central Arkansas, where we’ve been located for more than 20 years. 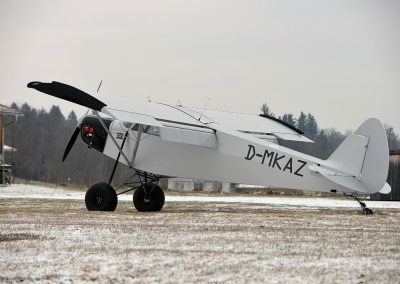 Savage aircraft are manufactured by Zlin Aviation, s.r.o. Located in Napajedla, Czech Republic.